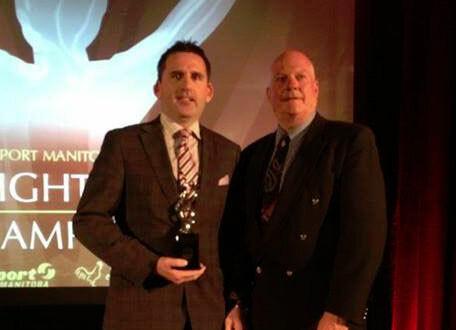 Basketball Manitoba is pleased to share the news that MABO Referee Reid Kenyon has been named the 2013 Sport Manitoba Official of the Year as part of the Sport Manitoba Night of Champions held on Monday April 28 at the Fairmont Hotel in Winnipeg! In July 2013, Reid was assigned to work the FISU Games in Kazan, Russia. There he earned the opportunity to officiate the Men’s Gold Medal Game between the host Russia and Australia by being selected the top official amongst 49 other referees in the world! On top of the opportunity to work the FIBA Americas League in Xalapa, Mexico. The league features top Central and South American national and professional teams in regular league play. He was one of 3 Canadians selected to this level of play. He is a regular fixture at both the high school and university level of play in Manitoba and Canada. Leading up to the international events, Reid continued with his provincial and national commitments through the winter and spring regularly working at both the Manitoba High School Provincial Championships and the CIS Men’s National Championships level. To add to an already busy summer for his own referee development, Reid was the Camp Director for the third ever MABO Officials Camp which coincided with the Basketball Manitoba Club Basketball Championships. 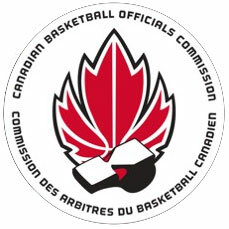 The May 2013 event invited 25 of the next up and coming basketball officials in Manitoba to the weekend camp that featured evaluations, presentations, video and classroom sessions.